NOLA was calling my name this weekend so since I couldn't hop a flight, I did the next best thing and headed to Roux Tampa for a late Saturday brunch. Brunch is one of my favorite foodies pleasures and I, for one, am elated we're no longer limited to just Sundays for this sacred weekly ritual. 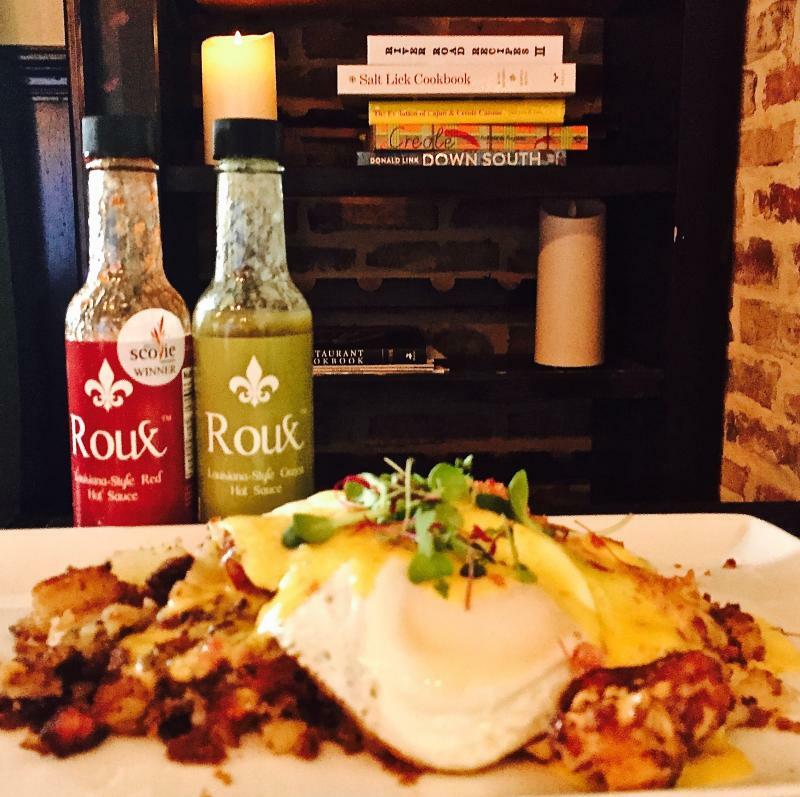 This was my second time brunching at Roux and let me tell you, since Louisiana Guest Chef Bonnie Breaux joined the team, they're breaking all the Brunch Rouxles at Roux. Whether you're in the mood for breakfast or lunch, Cajun or Americana, Roux breaks the Rouxles by offering an unusually extensive brunch menu They feature traditional breakfast entrees including Classsic Eggs Benedict, Rajun Cajun eggs with customary or a little more NOLA'esque sides and Blueberry Pancakes as well as classic Cajun breakfast entrees including Eggs Sardou, Eggs Nouvelle and Crawfish Hash. 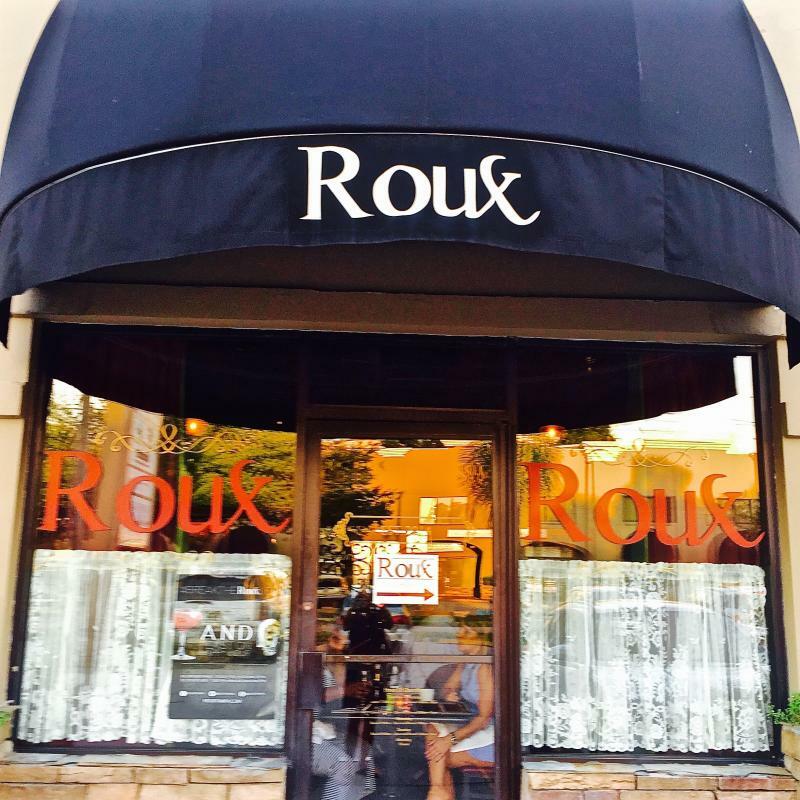 ​If you're feeling more on the lunch side of brunch, Roux offers an extensive selection of Starters, Summer Salads, House Favorites, Sandwiches, and Sides you'll recognize from their regular menu. 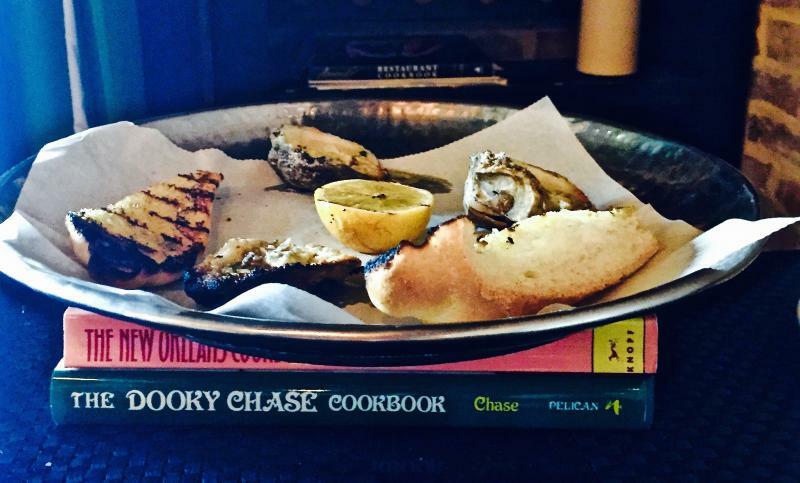 Any trip to New Orleans begins with oysters so we ordered up a round of Char-Grilled Oysters. Flawlessly grilled, succulent oysters topped with a crunchy parmesan crust, served with a lemon wedge and grilled crusty bread for dipping. I closed my eyes and thought I was in New Orleans they were so good! 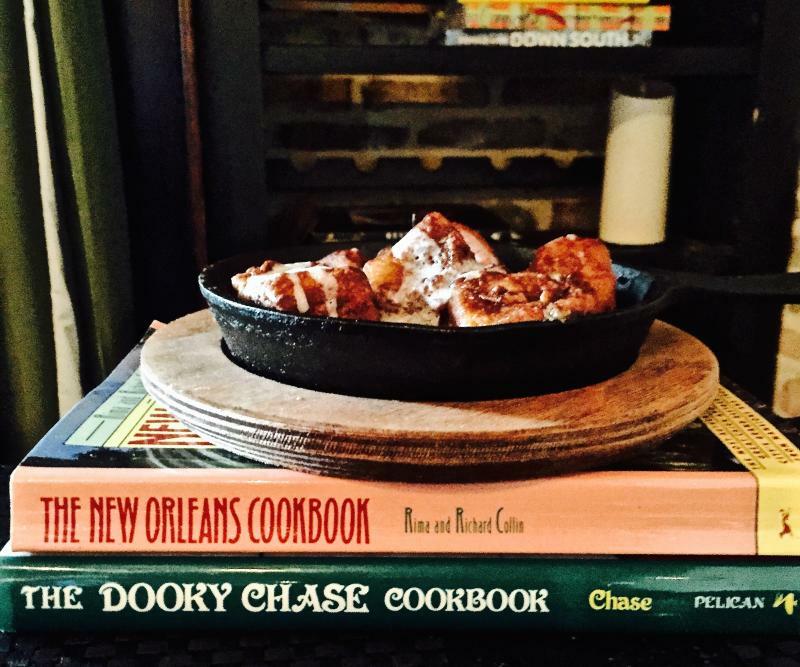 To satisfy our sweet tooth, it was all about the sinfully delicious Roux Praline Monkey Bread. Pull-apart clusters of warm, super gooey praline sugar bread topped with a satsuma creme anglaise. They don't monkey around with this stuff, there are no words to describe the mouth watering deliciousness of this bread! The good times kept Rouxing with the arrival of our entrees. The New Orleans Classic Shrimp & Grits Roux style is prepared with plump, perfectly pan-seared gulf shrimp, creamy cream cheese grits and topped with a thick Abita-beer gravy. My Mom makes Shrimp & Grits every year for Christmas but, sorry Mom, this year we're getting take out from Roux. The addition of cream cream to the grits and the savory, spicy Abita gravy makes this dish Shrimp & Grits perfection. For the Seminole in our group, it was time to chomp on some Alligator Hash. Crispy buttermilk soaked, beer-battered, melt-in-your-mouth alligator bites served on a bed of garlic brabant potatoes with a sunny-side up egg and topped with a dreamy tasso hollandaise sauce. They always say alligator tastes like chicken but I've never tasted chicken this good! So juicy and tender, mixed with the runny yolk from the egg and the hint of tasso in the rich hollandaise, it was gator all the way for our Seminole chick! The show-stopper of the day was definitely the Banana Foster Pancakes. A classic New Orleans dessert turned into brunch A' la Roux, these pancakes have to be seen to be believed! 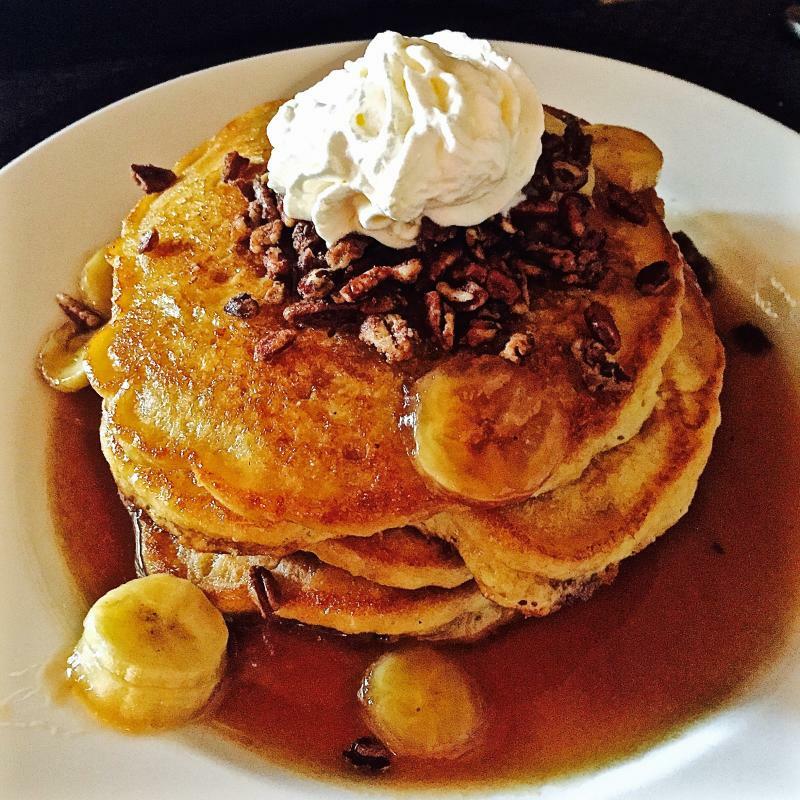 Four, yes, four super thick pancakes piled high, topped with carmelized bananas, praline pecans, a housemade caramel rum sauce and whipped cream. This is decadence beyond decadence and Rouxlicious all the way! 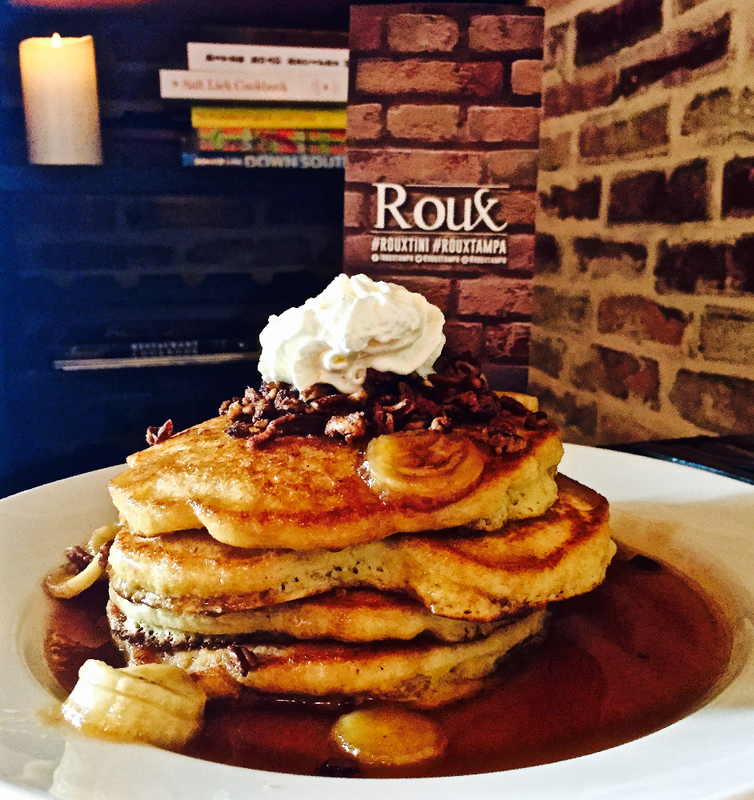 Whether you're looking for a taste of NOLA or traditional Americana, Break the Rouxles and head to brunch at Roux! 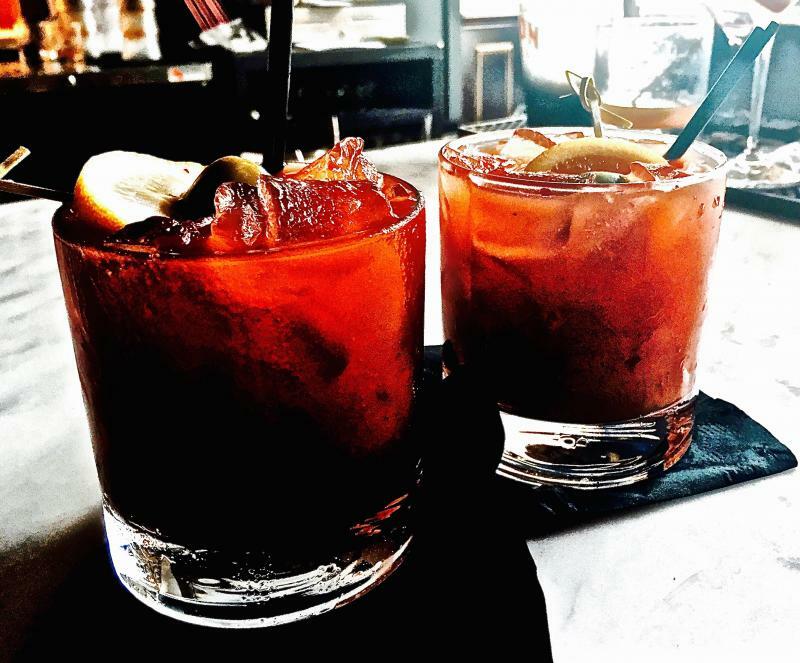 Roux serves brunch Saturdays and Sundays from 9am - 2pm and offers BOGO Bloody Mary's & Mimosas as well as $5 Wells and 1/2 off Draft Beer and Wine By The Glass. 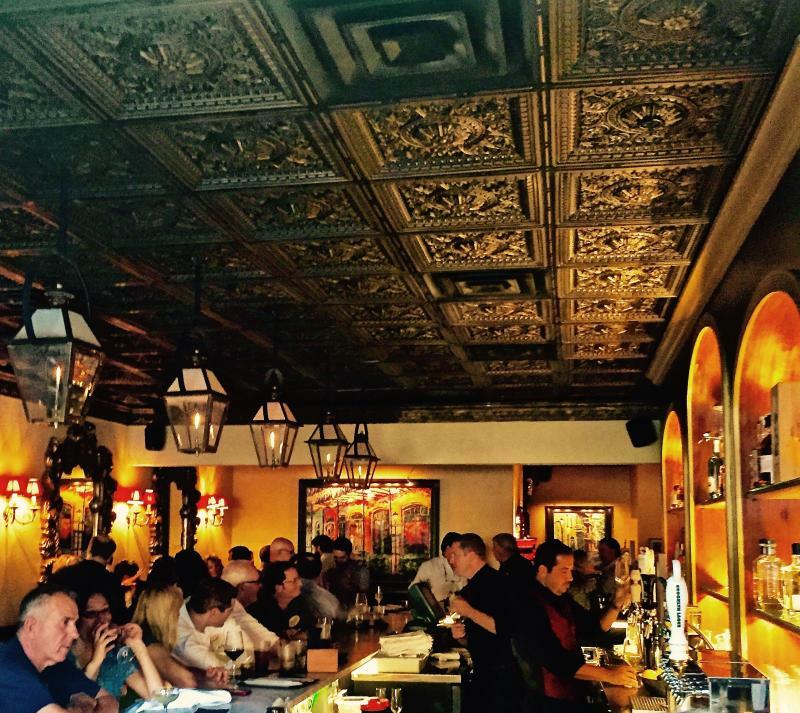 It's become quite the happening South Tampa brunch spot so reservations are highly recommended. 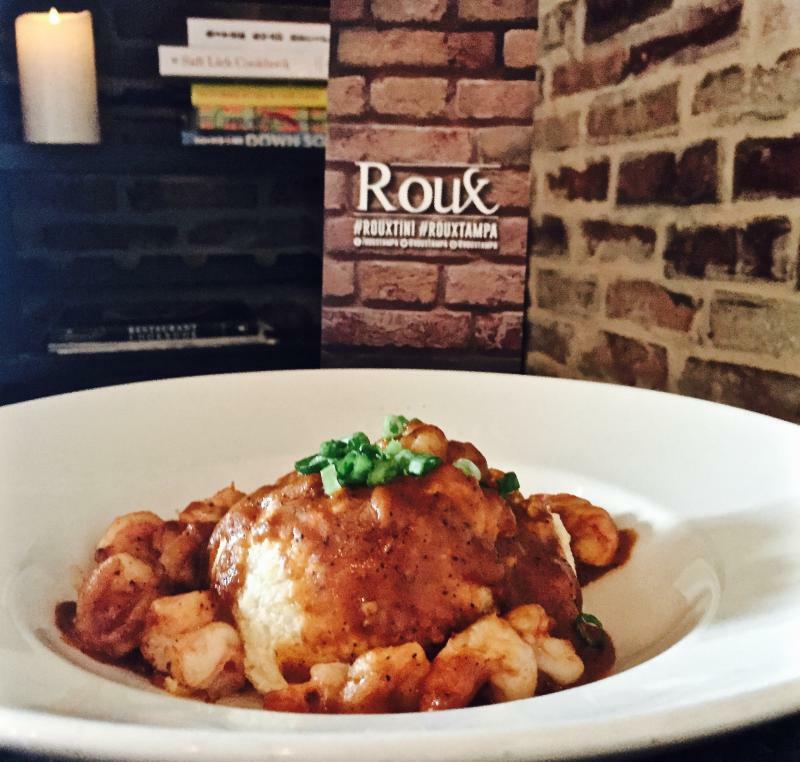 As they say in New Orleans, Laissez Les Bon Temps Roulez at Roux.